In the summer following my first year at Strathclyde University, I met up with one of the cast from my school production of "Ruddigore" and we reminisced about the show. 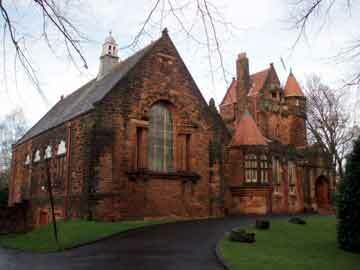 I discovered that there were a number of amateur musical clubs and societies in Glasgow where I could pursue music as a hobby. I still had a programme from The Orpheus Club's production of "Princess Ida" at The King's Theatre. 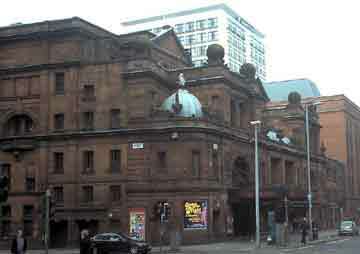 Glasgow which I had attended with some of the school cast in 1977. The Orpheus Club was well known for being the oldest amateur operatic society in Britain, having been formed in 1892. It had close links with the D'Oyly Carte Opera Company and had a well earned reputation for it's authenticity of Gilbert and Sullivan productions. I successfully auditioned to join the Club in September 1978 and my first show was a double bill - "Trial By Jury" and "The Sorcerer" in March 1979. Later that year, I joined a number of Orpheus Club members in a production of "Iolanthe" for The Olympian Operatic Society at Eastwood Theatre on the southern outskirts of Glasgow. I then gained my first minor principal role as First Citizen in the Orpheus Club's production of "The Yeomen Of The Guard" the following spring. The highlight of my time with The Orpheus Club came in 1981, when the Club performed "The Grand Duke"; the last and, until then, most unfamiliar of the G&S operettas. When the original production was performed by the D'Oyly Carte Opera Company in 1896, it had suffered from a number of hasty and drastic plot and libretto changes by W.S. Gilbert. As a result, the piece had not been well received and it had rarely been seen since then. In the mid 1970's an American playwright, John Wolfson, restored many of Gilbert's original plots and sketches for the operetta and staged a small production in America. The Orpheus Club decided to perform the British amateur premiere of Wolfson's production, and a lot of interest was generated in the months leading up to the show. John Wolfson travelled over from New York to attend the two Saturday performances, and was very pleased with the result. Wolfson's book "Final Curtain" documents the history of The Grand Duke and of Gilbert and Sullivan's penultimate operetta, Utopia Limited. The Gilbert and Sullivan operettas were originally performed by the D'Oyly Carte Opera Company and each new piece was written with specific performers in mind. This caused an unfortunate side effect for amateur companies whose repertoire consisted solely of G&S productions - it was very easy to cast the same people in each show and very difficult for new people to break through. However, The Orpheus Club did have a unique practice amongst amateur societies of casting an understudy for each and every principal part. I was fortunate to be cast as understudy on two occasions. I took over the role of Annibale a couple of weeks before the run of "The Gondoliers" in 1982, and also understudied producer Walter Paul as Bunthorne in a number of rehearsals for "Patience" in the following year. After the production of "Iolanthe" in 1984, I decided to leave the Orpheus Club to try my hand at the Broadway musicals, a number of which were being performed by other societies in the area. Current information on the Club can be found at The Orpheus Club web site.